This reclining sectional has it all a casual style, padded comfort, reclining seats and built-in cup-holders. 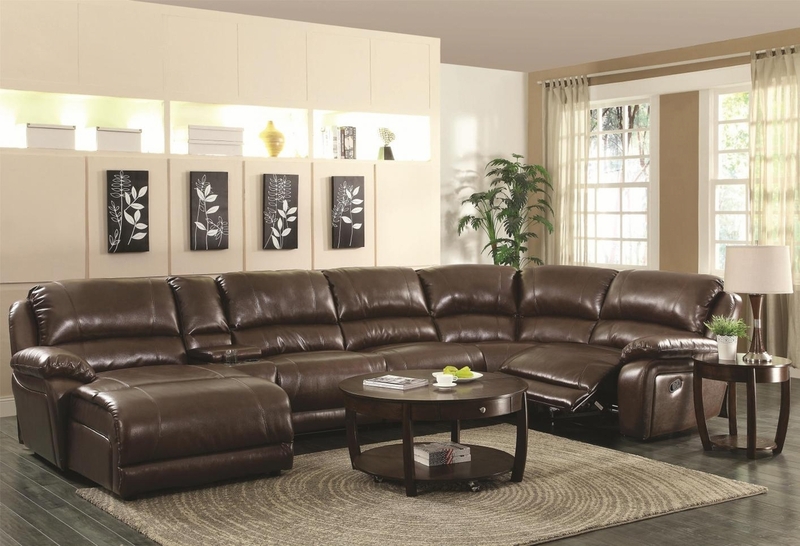 Designed with a focus on style and value, this reclining leather sectional will offer you the look and feel of leather at a fraction of the price. This piece features two reclining seats, two stationary seats and a chaise, all draped in a bonded leather match. 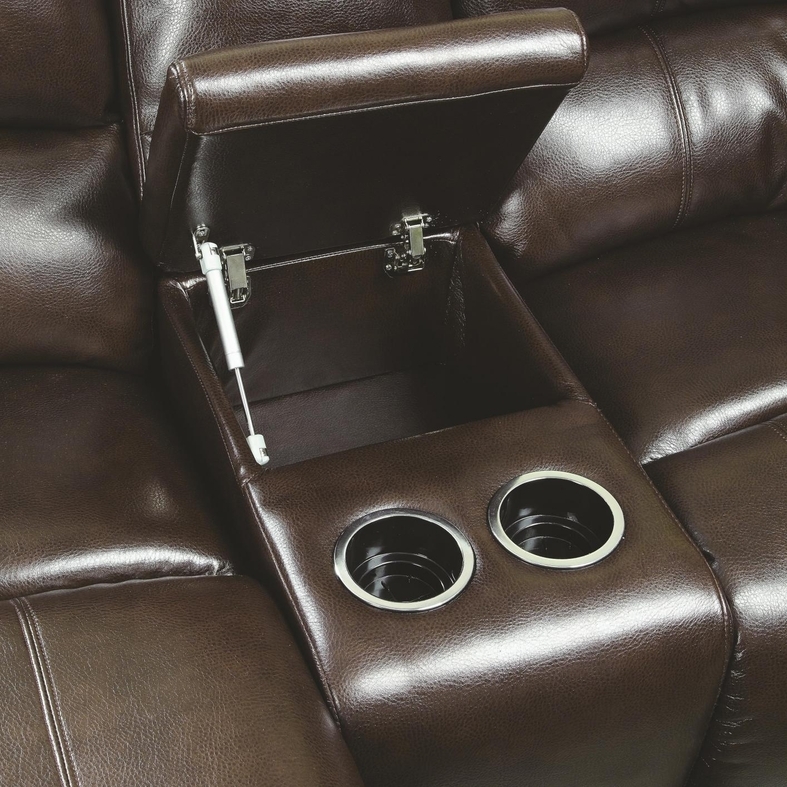 A console with built-in cup-holders is especially ideal for social events or family movie nights. With enough room to seat five guests, this family room sectional sofa is complete with kidney support, defined headrests and baseball stitching for a tailored accent.